Global Entrepreneurship Week 2015 took place in over 150 countries around the world, including Israel, on the 15th-22nd of November 2015. 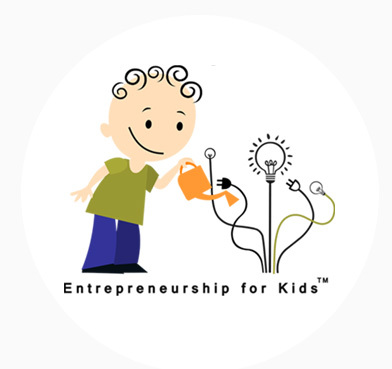 The Entrepreneurship for Kids program promotes the participation of schools that educate for entrepreneurship in this week. 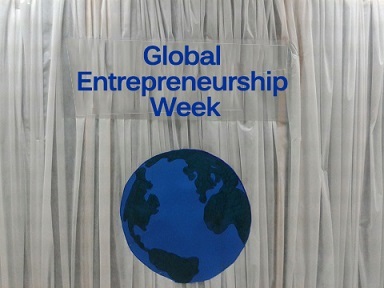 This year during the Global Entrepreneurship Week, various ceremonies, workshops, activities, lectures from entrepreneurs in different areas, and a school-wide Hackathon took place in schools. 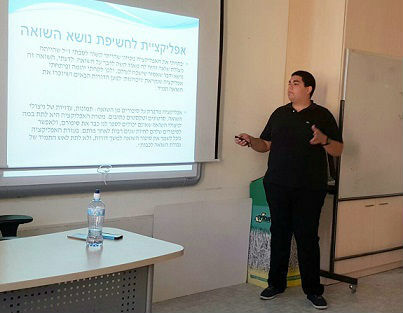 As with every year, a presentation was made explaining Global Entrepreneurship Week, the events that take place during the week in Israel and around the world, and the participation of schools during this week. The entrepreneurs received wonderful thank you letters from the schools in which they participated during Global Entrepreneurship Week. At the event for the active community during Global Entrepreneurship Week, which took place in April 2016, Galit Zamler received a certificate for her work with schools during Global Entrepreneurship Week. Since the 2015-16 school year, a group of students at the Ofira Navon school have been learning through the Entrepreneurship for Kids Program. The teacher, Dana Ben Shitrit, taught the students a class on entrepreneurship and so exposed them to the existence of Global Entrepreneurship week. 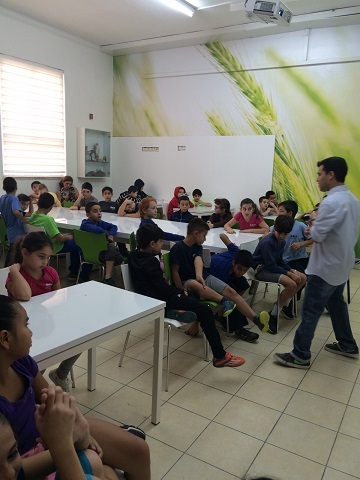 This year Ilanot school joined the group of schools teaching entrepreneurship, and currently employs the Entrepreneurship for Kids Program. During Global Entrepreneurship Week, the school's students participated in entrepreneurship lessons. This year Alumot school took part in Global Entrepreneurship Week for the first time. During the week, students were exposed to projects from various areas: the spaceship project, the peas and carrots project, the technology project, art in threads, directing and narration. This year Be'eri school began teaching the contents of the Entrepreneurship for Kids Program, and took part in Global Entrepreneurship Week. The school's students heard lectures from guest entrepreneurs, and participated in entrepreneurship lessons. HaManhil school in Ramat Gan teaches leadership and entrepreneurship, and is taking part in Global Entrepreneurship Week for the first time this year. 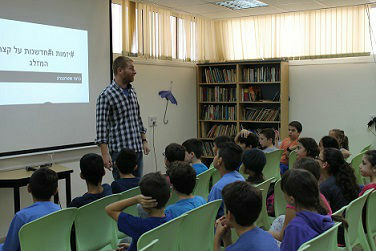 The teacher Michal Mamman contacted many entrepreneurs who came to the school to inspire students in grades 3-8. Since the 2015-16 school year, the Harel school in Bat-Yam is part of the group of schools promoting entrepreneurial education. This year the school participated in Global Entrepreneurship Week with guest entrepreneurs who inspired the students. 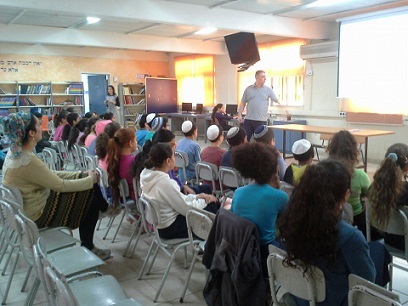 Yad Mordechai school has been taking part in Global Entrepreneurship Week for several years. The school held an entrepreneurship-centered assembly, and students heard lectures from various areas of entrepreneurship. This is the second year Katznelson school has taken part in Global Entrepreneurship Week. During the week, 6th graders began taking entrepreneurship lessons through the Entrepreneurship for Kids Program. 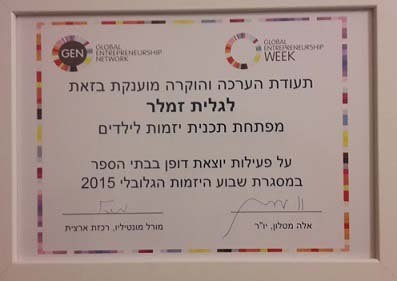 Mordei HaGeta'ot school participates in Global Entrepreneurship Week every year. This year the school also invited guest entrepreneurs to share their experiences with students. On every classroom blackboard the guest entrepreneurs saw their picture alongside information about their lecture and their field of work. This way the students knew who the lecturer was and what the topic would be ahead of time. 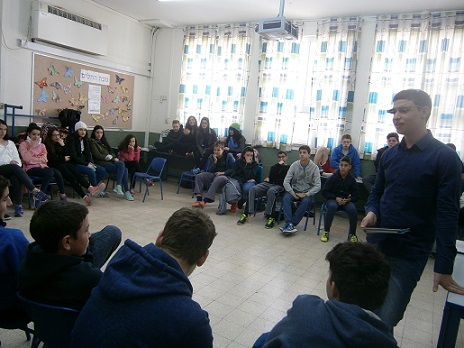 This is the second year that Noam Mohaliver school in Bnei Brak has taken part in Global Entrepreneurship Week, this time with a focus on social entrepreneurship. During the week, students heard lectures from guest entrepreneurs and took part in lessons on entrepreneurship. Ironi A school took part in its first Global Entrepreneurship Week. During the week, a group of entrepreneurship students took part in a class on entrepreneurship and heard a lecture from a guest entrepreneur. 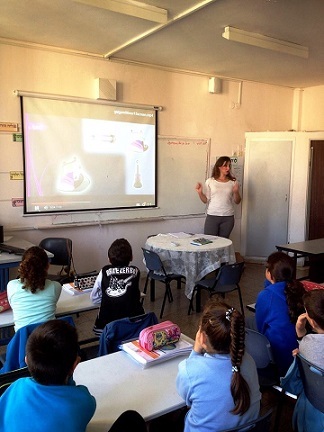 At Aliyot school in Ramat Gan, 4th-grade students have entrepreneurship classes with the teacher Livna Greenfeld. This was the second year that the school took part in GEW with a weekly lesson and a lecture from a guest entrepreneur. A GEW opening ceremony, a school-wide Hackathon, lectures from guest entrepreneurs, launch of empowerment and entrepreneurship programs for the school, entrepreneurial graffiti, workshops on developing creative thought and leadership, Hyde Park entrepreneurship, an entrepreneurship party and community involvement. This was the third year that Ramot Weizmann school in Yavne took part in Global Entrepreneurship Week through a festive ceremony and entrepreneurial lectures for the students. At the end of the week an article was published in Yavne's local newspaper. The guest lecturers spoke about education, business and social projects and shared their ideas, failures and successes. The students greatly enjoyed the film clips that were shown to them and understood the overall message that one should not give up one's dreams, and when one wants to initiate something one should not worry. Itamar - To be an entrepreneur you need to think outside the box. Uri - Every idea begins by believing in yourself. Yuval: We got the courage to try, to dare to develop something. Alon: I understood that entrepreneurship is a long process, there are hardships along the way, but you can't give up on dreams. Sadot Karkur school is a growing school that teaches innovative entrepreneurship. The school participated in its first Global Entrepreneurship Week with a morning school-wide assembly and entrepreneurship classes. They connected Ben Gurion Memorial Day with the theme of entrepreneurial vision, with guest entrepreneurs, lectures from parents, workshops and games from the entrepreneurial world, and a school-wide creativity-themed activity. One way to mark Global Entrepreneurship Week is with lectures by entrepreneurs who visit schools and share their entrepreneurial experience with young students. This is an opportunity to thank the many entrepreneurs who volunteered to visit schools and share their experience with students in lectures about their fields during Global Entrepreneurship Week. This is the third year that volunteers from the spaceship project are cooperating with the Entrepreneurship for Kids Program leading up to Global Entrepreneurship Week. They are coming to schools and participating in the program to speak about the spaceship project, and to hook the students on the dream of landing on the moon and the will to support space travel research. 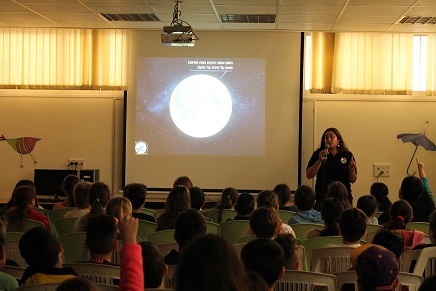 This year, volunteers from the project for the first Israeli spaceship that will land on the moon came to the following schools: Alumot in Tel Aviv, HaManhil in Ramat Gan, Mordei HaGeta'ot in Ramat Gan and Be'eri in Netanya. 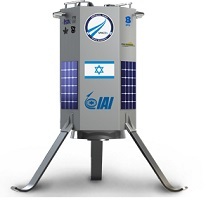 You are invited to visit the SpaceIL website and follow the progress of the spaceship's launch. 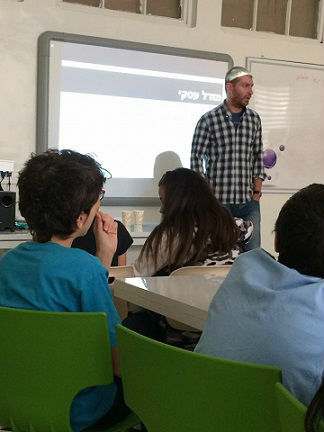 Danny Deutsch is visiting schools for the third year as part of the entrepreneurship week, and this year he lectured in the Alumot school in Tel Aviv. Orna Jacobson, the entrepreneurship coordinator at the Alumot school, wrote the following about the lecture: The children enjoyed the lecture very much, asked questions and were interested. I highly recommend it! 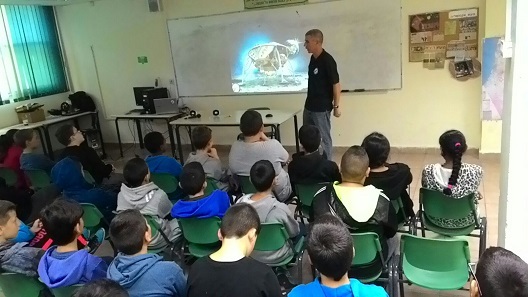 Assaf, another volunteer from the spaceship project, visited the Be'eri school in Netanya, where the students were also very interested and asked questions. 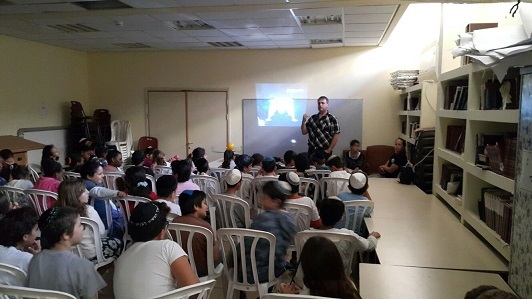 Roy Benjamin from the lecturer team at SpaceIL visited the HaManhil school in Ramat Gan twice during Global Entrepreneurship Week for several lectures, thus all students from grades 3-8 heard the lecture on the Israeli spaceship. Sivan Yitzhak is lecturing about the spaceship project in entrepreneurship schools for the second year as part of Global Entrepreneurship Week. 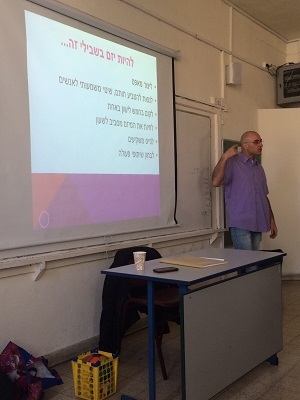 Innon was a guest lecturer at three schools during Global Entrepreneurship Week 2015: Kaplan school in Petah Tikva, Mordei HaGeta'ot school in Ramat Gan and HaManhil school in Ramat Gan. Thank you very much! In his lectures, Innon spoke about his work as CEO and owner of Simple Finance, a senior economist, an entrepreneur, a lecturer and economic success mentor for families and business. He is a proud resident of Petah Tikva, who decided to develop the Petah Tikva portal as an online platform to provide information to residents of Petah Tikva and the surrounding area. 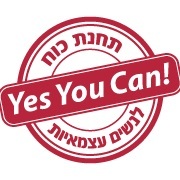 PTNeto Portal is considered the most popular online portal in Petah Tikva and includes objective information on everything happening in the city. The portal has set itself the goal of becoming a home for small business in Petah Tikva as well. In the portal, Innon also writes about educational events, including Global Entrepreneurship Week. 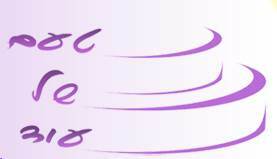 In the PTNeto Portal one can advertise events and write articles/blogs, add oneself to lists of business and write on different message boards (organized by type of business), such as: real estate, wanted ads, cars, etc. In addition, it is possible to help sponsor or cooperate with events taking place within the portal. Innon says, Using the Simple Finance method I successfully direct my clients and provide them with a practical solution, through which they can forget about over drafting, relax and follow their personal dreams, like an international vacation, a home makeover, festive events, education for their kids, retirement and more. Thanks to the Simple Finance system my clients are mindful of their cash flow and fully control it. Innon used the experience and knowledge he gathered as a financial advisor to develop a finance course for schools. The course is intended for schools that understand the need to teach and implement finance curricula , and for management and teams of teachers who urge the next generation to enrich their knowledge and conduct it wisely. 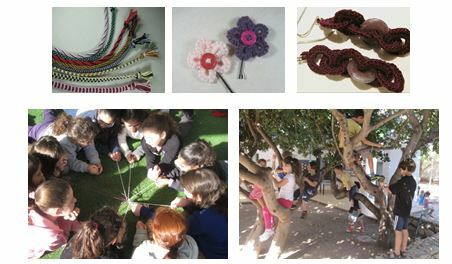 The course is hands-on and promotes enrichment, and provides tools and skills required by every child in Israel. A child who understands the financial significance will appreciate the money more and be a valuable part of the system in the future. For more details, click here. Keren is the mother of a student at Be'eri school in Netanya, and during Global Entrepreneurship Week she gave a lecture on the Women's Council Project in which she participates. 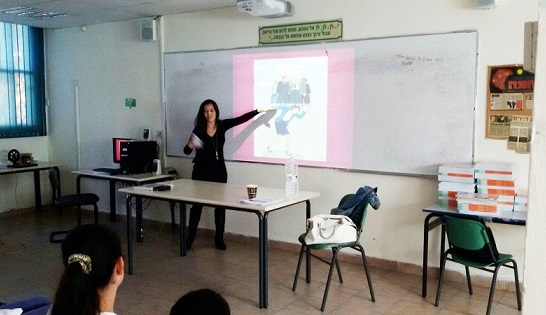 Ilanit volunteered as a lecturer for the third year during Global Entrepreneurship Week, this time at Weizmann school in Yavne. Ilanit shared her story with the students, speaking about how she began her project in confectionery and catering. I always had a taste for design and beauty, and from a young age, I loved baking cakes and cookies, cooking for family and friends and decorating cakes for birthdays and family events. At some point, I decided to turn the hobby into a career, so I studied design and confectionery and later specialized in chocolate and desserts. Today I specialize in baking cakes and cookies, cooking and baking by order, cooking and baking with chocolate and running workshops. 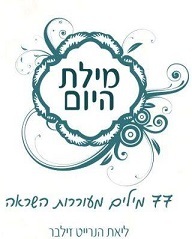 A Taste of More Catering is located in Rehovot, and is a dairy catering for private customers and events of up to 100 people. Menachem shared his vast experience with students from Ironi A school in Modi'in. In his lecture, he spoke about the differences between doing business in Israel and abroad, why some Israelis struggle to succeed in Israel, but succeed abroad, and how one can improve the chance for success of their project in Israel. This was Michal's second year as a guest lecturer at Global Entrepreneurship Week. This year she lectured at Noam Mohaliver school in Bnei Brak and Yad Mordechai school in Bat Yam. Michal spoke about how she moved from her work in public relations to become a business owner in an area she had loved for many years - art in threads. Michal shares her experience with the children, speaking about her work as an entrepreneur, the process of defining a target audience, marketing to said target audience, the challenges she has met and overcome, or still deals with, how she uses Facebook to market her business, and how she distinguishes Art in Threads from other businesses in the same field. Read about Michal's first lecture in 2013 here. Almog Gold Rothenberg established The Pea and Carrot brigade in order to help families, children, fathers and mothers enjoy healthy food, feel better about themselves and achieve greater things through eating. Almog has a Master's degree in behavioral science and studied natural nutrition. She developed her business after losing 17 kilograms and improving her blood test results through healthier eating. She is the mother of a teenager who took part in her nutritional transformation, and a toddler who was born into healthy eating. Today Almog sees private patients in Tel Aviv, leads a workshop on healthy eating for women and mothers, and serves as a guest lecturer on the invitation. 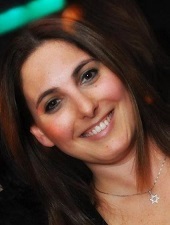 She also writes for Yediot Acharonot and the health portal Eatwell, and most importantly - she eats well. 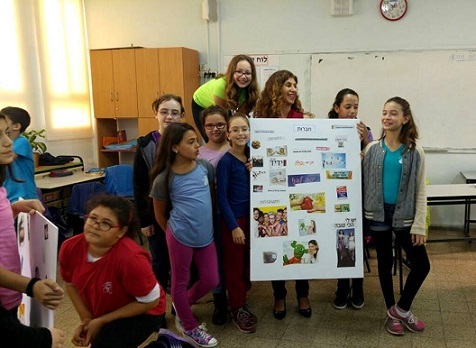 As part of the Global Entrepreneurship Week, Almog told students at Alumot school in Tel Aviv how her idea for the successful business came from a bag of frozen vegetables that she took out of the freezer, and revealed her secret business advisor (hint: he's 13). 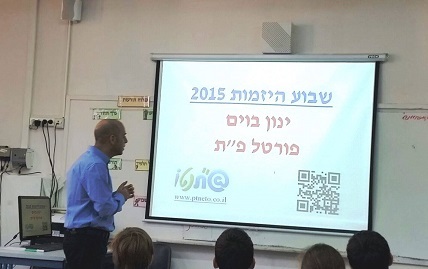 Netanel visited the Mordei HaGeta'ot school in Ramat Gan as a guest entrepreneur. 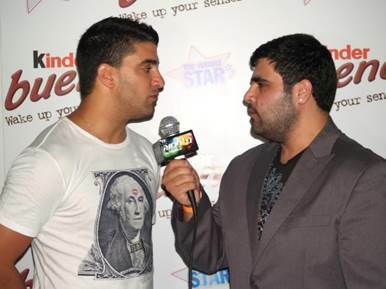 Natanel Dagami, a 26-year-old from Ramat Gan says, I began my way in business right after my army service. The first company we started (me and my partner) is a current events portal dealing with Mediterranean music. Among the modules included in the portal are: updated current events from the genre, coverage of events, independent media production, increasing exposure and promotion of new media, and more. Afterward, we started an additional company that deals in building websites, phone applications, managing new media for companies, graphics, branding and so on. After that, we merged with a company that develops and promotes companies' business, and together we started a management group with shared ownership, whose purpose is to expand the business of all of its members. From here, we began purchasing companies that have been running for some time and required new management to revive them. Liat is participating in Global Entrepreneurship Week as a guest entrepreneur for the second year. 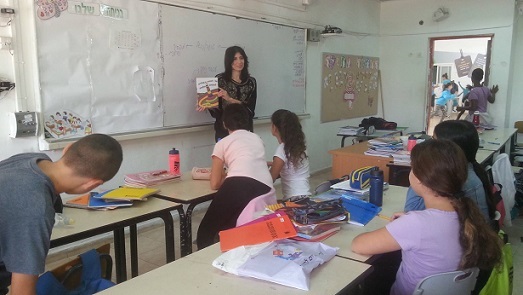 This year she lectured at Noam Mohaliver school in Bnei Brak. Liat was forced to interrupt her work as a successful dance and movement teacher and as a reflexologist due to arthritis. In her lecture to the students, Liat spoke about how she found the strength to cheer herself up after this, and how to cheer others on. Liat produced a card kit and published the book Milat Hayom (word of the day) - each word inspires and drives people to action, making their day more positive. Liat funded the book's production through fundraising, which she also spoke about with the students, telling them how the fundraising happened, what supporters received, the book's launch and the excitement that came with it, and her plans for the future. Galit Zamler, entrepreneur and social entrepreneur, developed the Entrepreneurship for Kids Program and manages the running of Global Entrepreneurship Week in schools across the country. The Galit's lecture was about the individual, the team and teamwork. In the lecture, students learn through a game about how peer pressure affects them, and about the importance of teamwork for a project's success. 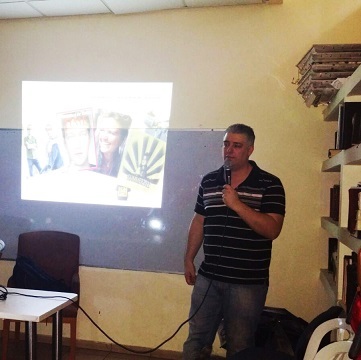 Doron has been lecturing as a guest entrepreneur for a few years during Global Entrepreneurship Week, and this year he participated in lectures at Har'el and Yad Mordechai schools in Bat-Yam. 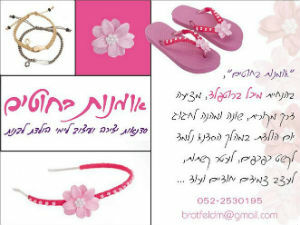 Doron founded the first social shopping mall. -	Selling a Good Coupon, a social coupon for organizations to use at the first social shopping mall. -	Selling products and services directly to customers who choose to buy well. Sigal came to Ramot Weizmann school in Yavne as a guest entrepreneur, and shared her experience as an entrepreneur with the students, speaking about the challenges she has faced, her faith in herself and her project, and how, through determination, diligence, creativity and more, one can succeed as an entrepreneur. Sigal developed the In the Child's Footsteps method which allows adults (educators/parents) to see the world through a child's eyes in order to promote a respectful and beneficial relationship with children. The method was developed with the understanding that dialogue, free will and freedom (physical and mental) allow children to grow into self-confident and happy adults. The method urges parents to provide for children's needs and feelings rather than fight to control them and demand discipline, coercion and compliance. It comes from a parental and educational desire to allow the Little Prince (the inner me), which exists in every child and adult, to get a place of honor in our lives. One central premise of the method is that children have a natural curiosity to learn and get to know the world without preconceived notions. They yearn to learn from their environment independently, as can be seen in the needs pyramid created by In the Child's Footsteps, and oppose direct learning. As such, the method creates an experience-based environment based on the child's interests, from which the child will learn and reach his potential in all levels - emotional, mental, motor and social. 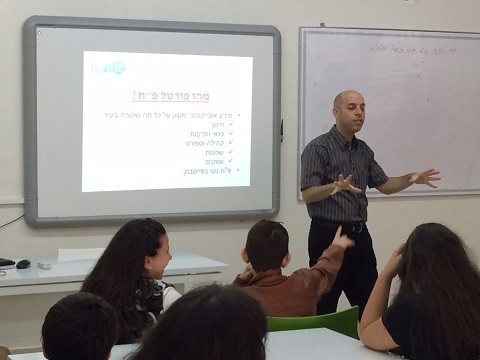 Last year Yossi took part in lectures during Global Entrepreneurship Week, and this year was invited as a guest entrepreneur to Noam Mohaliver school in Bnei Brak. He spoke to the students about what led him to establish the Yossiversita center. I'm not an expert in entrepreneurship; I do what my heart tells me. 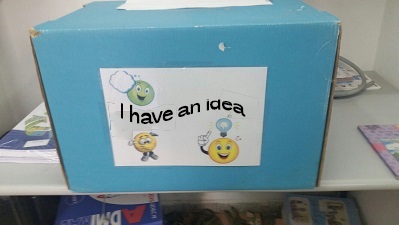 I know that for a project to be established you need a new idea that has a demand. The entrepreneur needs to stick to his goals, know how to make decisions, sometimes be brave and to be focused on his goals. The realization that I want to help kids hit me when I was 12; my mother, who is a psychologist, left an article on the table and I, who loved to read, read it. The article was about a student in London who was unpopular, and during a field trip no group wanted her to sleep in their tent. When the girl spoke to the trip organizers, they sent her to a different room where she was alone. The next morning everyone searched for the girl, who had run away and left a note in her room saying, A human stayed in this room, not a monkey. And so after reading this article in 7th grade I knew that all I wanted to do in life was make people feel better so that they could follow their dreams. Later, Yossi studied Psychology, examined many people and became a popular lecturer. But he says, I never felt that I was achieving my dream. After a workshop for parents of children with ADHD, Yossi understood that all a child needs is one adult who believes in them. Yossi believes that there is a spark in every student, and that everyone has a dream. He urges everyone not to fear realizing their dreams, not to allow fear to take charge, and only then change will come, and with it, opportunities for growth. Rotem is a high school student in Ramat HaSharon who established an entrepreneurship center in his school, called Together. The center is a place for students and teens to promote entrepreneurial ideas through the promotion of the unique subjects in the school. The Rotem's project won the support of the school's administration as well as that of the city's department of education. 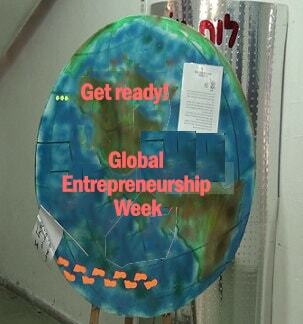 This is the second year that Ronit is participating in Global Entrepreneurship Week as a guest entrepreneur, this time at Kaplan school in Petah Tikva, in an activity aimed to empower students. 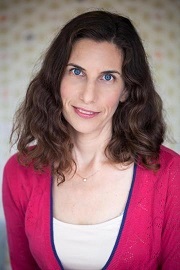 Ronit is a personal trainer for achieving goals, empowerment and self-image. Through her work, she empowers and teaches people to believe in themselves and their abilities, and to connect with the forces that help them. During their meeting with her, students made a vision, encouraged individuality, did good deeds and more. Almog is a startup entrepreneur and one of the founders of SeatApp. Almog is the son of a teacher at Be'eri school in Netanya, and was invited as a guest entrepreneur to tell his story to the students. During his lecture, he told the students how to identify demand, how to create a business plan and how to fulfill the dream of developing a project. Sharon has been cooperating with the Entrepreneurship for Kids Program since she began her career. This year, as with every year, she came to share her experiences as an entrepreneur with students. Sharon is a partner in EVT SPORT, an online sports project. In her lecture, she openly spoke to the students about how she made her way with her startup partners, from the initial interview up until today. Additionally, the project was presented to the students and they participated in an athletic activity, keeping in the project's theme. 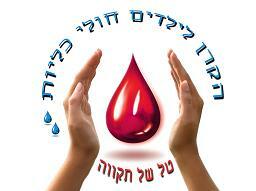 Sharon is also the founder of the social project, Tal Shel Tikva- a fund for children with kidney disease. In her lectures, Sharon speaks about what a social project really is, who profits from it, what she does in the project, and how she came to develop the project. She also answers questions like, who do we work for and how? How do we convince investors? How can the children help themselves? What do we develop for the children? How does the fund profit? At the end of the lecture, the children received a small gift of water bottles after they had discussed the importance of keeping children hydrated. Sharon suggested that the school takes part in one of Tal Shel Tikva's activities; Before Hannukah we have made small gift packages for the children from the fund. We make about 300 packages that are distributed to six hospitals around Israel. I would be happy if the children from the school would join in preparing the gift packages. You can put anything in the package that would occupy and cheer the children up during their dialysis treatment. Other than candy, I left the choice open to yours and the children's imaginations. 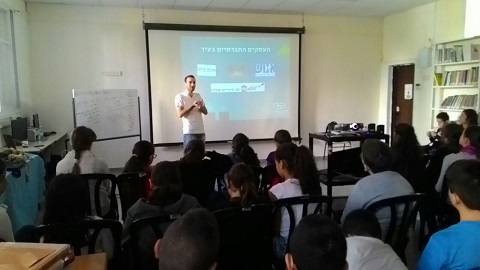 Ran has been taking part in Global Entrepreneurship Week as a guest lecturer for a few years, this year at Alumot school in Tel Aviv and Harel school in Bat Yam. The subject of his lecture was the mistakes you will make as entrepreneurs. A survey of lessons learned while establishing a project was adjusted to subjects appropriate for the children. Ran is a co-founder of Accells, a company that developed a system for user authentication through mobile phones. The system Accells developed is used to strengthen the entry to networks, remote access systems and cash registers. The company was sold to Ping Identity in 2013. Today Ran manages identity, holding and mobile products at Ping Identity. 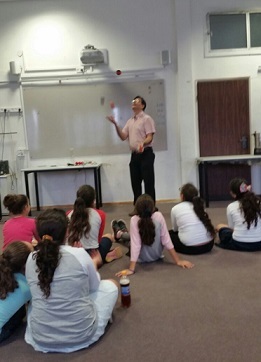 Sivan was a guest lecturer at Kaplan school in Petah Tikva. 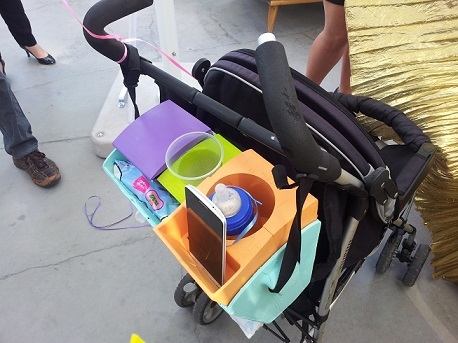 Sivan is friends with Lilach Bernstein, with whom she identified the needs of new parents and developed the Mitti kit - a kit that attaches to the handles of a baby carriage and meets the immediate needs of parents, incorporating their daily needs with technology. Until now I worked as a customer service manager at Go Active and currently I am working on starting a business in advertising and marketing for small and medium businesses. I began my way as an entrepreneur during a management course at the university with Professor Daphna Kariv. Yoav is one of the founders of a unique project called OGERTV, which combines advanced learning with project-oriented activities and urges the students to take part in entrepreneurial activities and experiences while incorporating creative and innovative thought. The project teaches students about communication, television, advanced media, production and journalism. The project produces a TV channel that is aired at the school. The channel is produced by the OGERTV team with help from the students, who learn from their experience. The students research, interview, write, brainstorm, take part in production and star in the show themselves in a variety of roles: as presenters, broadcasters, journalists and more. 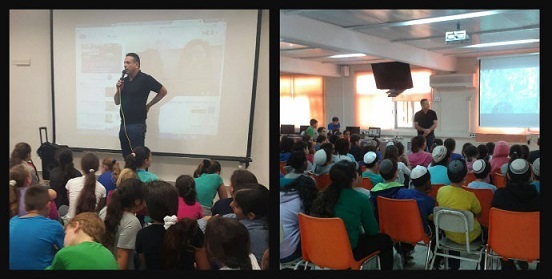 During Global Entrepreneurship Week, Yoav visited four schools: Be'eri in Netanya, Alumot in Tel Aviv, Yad Mordechai and Har'el in Bat Yam. In his lecture, he spoke to the students about the project he'd developed, how he came up with the idea and how the project is managed. 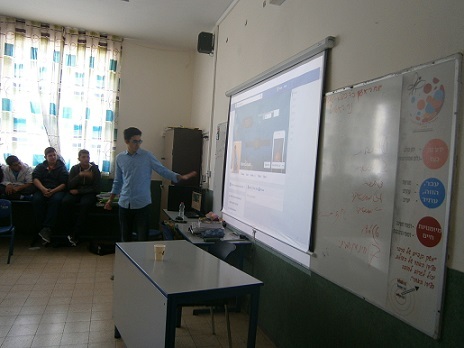 Amit was invited to be a guest lecturer for 8th graders at HaManhil school. In his lecture, Amit spoke to the students about the process he underwent and is still going through with the smart disc project. My name is Amit Saban, I'm 16 and a half years old, from Ramat HaSharon, and I'm an 11th grader at the Holon High School. I studied law for two years at Tel Aviv University. Lately, I have been developing a unique startup that aims to prevent the kidnapping of soldiers and citizens. The startup is a smart disc that I developed. When a soldier or citizen feels unsafe, in danger or is kidnapped, they press the smart disc that I developed and so their location will be sent to the IDF and to our nation's security systems. Currently, the location and signal of the danger are sent to a computer program that I developed. I believe that nothing stands in the way of willpower. No one should have to give up his or her dreams and projects. 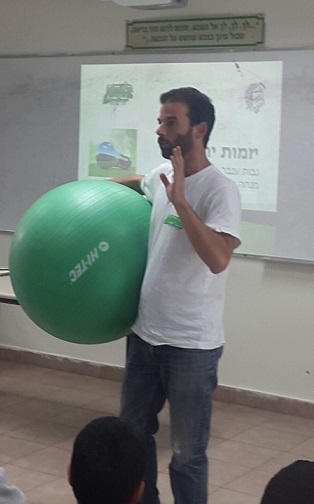 Navot at an experiential lecture about green entrepreneurship for 3rd graders at Be'eri school in Netanya. 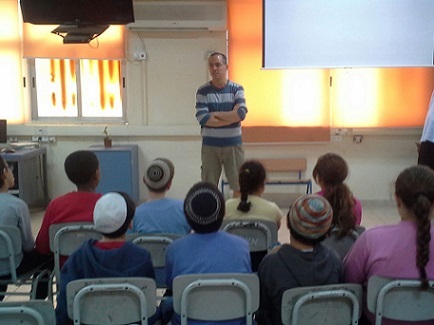 Itamar was a guest lecturer for students at Mordei HaGeta'ot school in Ramat Gan. Itamar Kaufman is almost 16, and was born on 1.1.2000. 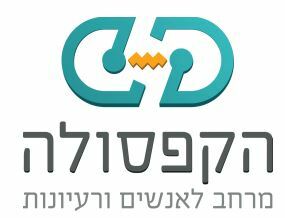 Itamar likes to solve problems and enjoys new technologies and wearable technologies. A serial entrepreneur who has managed to establish 13 startup companies before starting PlaceIt, where he is the CEO. He also organized the world's first smart homes Hackathon, which took place at the Google offices in Tel Aviv and was copied in San Francisco. He has won 12 programming marathons. His company won the Prime Minister's office award and tries to take all transportation tickets like the Rav-Kav and transfer them to smartphones. Additionally, he organized the world's first programming marathon for Facebook's Parse platform in Israel. Over the years, he has learned to find sponsors and network. Thanks to these ties, until recently, he worked at The BitBite company as the Android development team manager and received additional job offers but had to turn them down due to his studies. Itamar says, I'm homeschooled because my parents and I decided that it's more convenient for me and this way I will be able to finish my studies as quickly as possible. Netanel Rozman is a coordinator of social entrepreneurship and business. He is studying for his Bachelor's degree in education and social business management at Seminar HaKibbutzim, and works as a personal trainer for teenagers. In his talk with the Be'eri school students in Netanya, he spoke about the entrepreneurial world with an emphasis on the world of social entrepreneurship and social business, as well as on the work Capsula is doing. Capsula is a shared workspace for people and ideas. It is a unique and a youthful work environment which includes: a quiet work space, a meeting room, a conference room, an equipped kitchen and a nice roof to rest on. The members of Capsula benefit from opportunities to meet, network and cooperate with young entrepreneurs from different fields. Within this context, Capsula works to raise awareness of entrepreneurship, specifically social entrepreneurship in Netanya. Therefore, Capsula offers free weekly lectures to entrepreneurs, as well as personal training, fairs, conferences on the topic, and more. 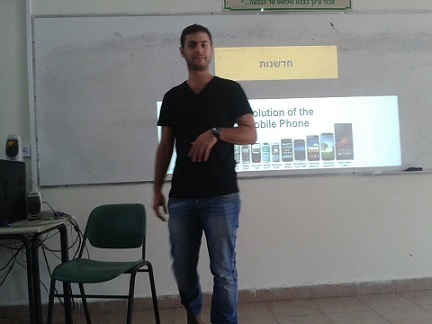 This was the second year that Danny participated as a guest lecturer during Global Entrepreneurship week, this time at Noam Mohaliver school in Bnei Brak. Danny set up his own business in the field of juggling and magic, a business that began as a hobby while Danny worked as a computer systems analyst for 30 years, and managed a computer unit for a large company for more than 20 years. After a few years of practice, he became a professional and began performing as a professional juggler. According to this plan he built his business. Danny explained that it's important to have a relative advantage in your business, and his advantage was that he himself was the magician and juggler, meaning that he understood the field and could advise customers that came to him using his relevant experience. The business plan included setting a target audience, and because not many people are interested in circus accessories, he decided to direct his business at children as they like magic. Tamir is a regular lecturer during Global Entrepreneurship Week. This year he lectured at two schools: Mordei HaGeta'ot school, where his children are students, and HaManhil school in Ramat Gan. Tamir studied information systems engineering at the Technion and holds a graduate degree in law. Tamir says that for seven years, he worked at Matrix as a senior project manager and as a development and design department manager. For the last few years, he has been an entrepreneur and works on many startups, some which he began and raised funds for them. Tamir's lecture was about a project rising and falling. The lecture opened with a game where students had to shoot a large ball into a narrow basket- it was assumed that the students would not be successful. Then Tamir asked them to offer solutions to the situation, and the conclusion was that it's possible to shoot the ball into the basket if the rules are changed. In this way, Tamir showed the students that entrepreneurs don't say it's hard or it's impossible, but see hardship as a challenge and something that can be solved and overcome. 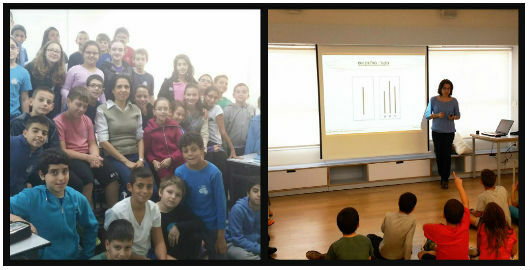 Carmi lectured at two schools during Global Entrepreneurship Week: At HaManhil school and Mordei HaGeta'ot school in Ramat Gan. Carmi is a high-tech entrepreneur who was trained at the Center for Computing and Information Systems. He worked as a programmer at interesting high-tech companies, founded a number of startup businesses in the areas of energy, applications, programs, teaching, and more. He is a startup consultant for entrepreneurs, a trainer at high-tech companies and more. He is married with three kids, lives in Ramat Gan, He has been an entrepreneur since at a young age, and is now raising young entrepreneurs at home. In his lecture: From Idea to Product. Carmi spoke about the entrepreneurial world in a practical and realistic light, about motivation and understanding the process of making an idea into a product. 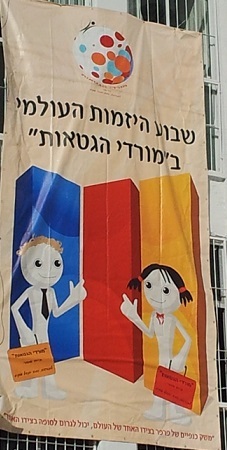 Carmi at Mordei HaGeta'ot school in Ramat Gan. 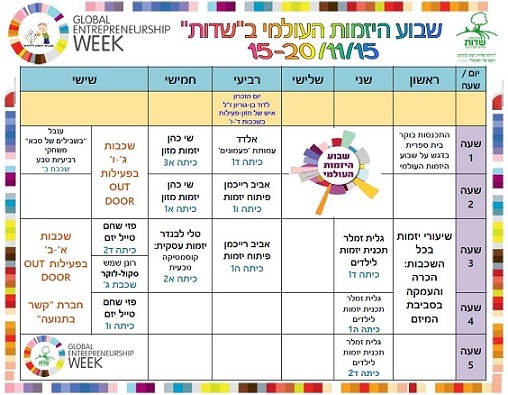 This is the second year that Einat is lecturing at Global Entrepreneurship Week. Her business, Shoval Hats and Accessories is being developed and improved with time, and as it does, she shares the process of the business development with the students. I've always loved crafting and learning new things. I was especially drawn to thread-work, and the huge variety included in that, (and to the fact that it is related to fashion, and that the materials don't make your hands dirty). I began collecting samples at a young age, I learned all I could, and I researched in books and magazines, and also in the last few years on the internet as well. 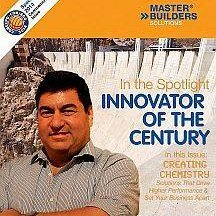 I designed and invented and combined materials on types of creativity; I checked how things are built so I could diversify and renovate them. When I decided to found a business, I wanted to continue to do exactly what I love. It was a long process which ended with a business made up of products that I design and create by hand (mostly jewelry and fashion accessories). I also give lessons where I teach children and adults to knit, cross-stitch, crochet, weave, tie and more, and to create small and cute things. I also have weaving kits from which anyone can learn at home, and with which people can create, and I developed a series of team building exercises where a group of participants turns into a human loom.